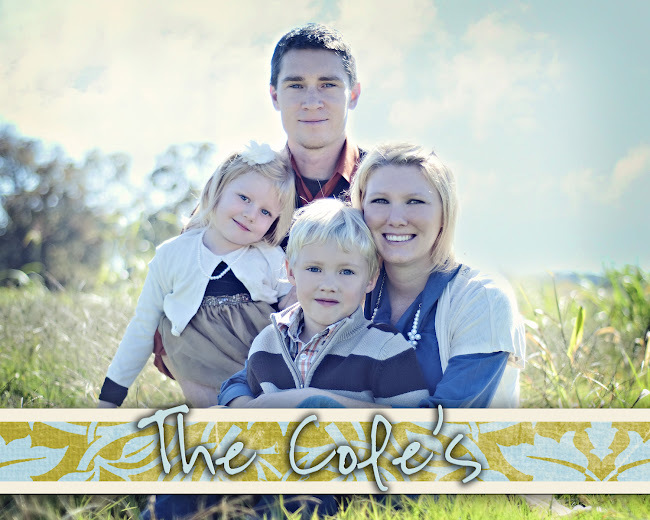 The Cole's: For Mandy Bean!! My dear friend Mandy had a handsome baby boy named Graden Matthew on April 24th. She had to go see the doctor several weeks ago for a follow up appointment so I offered to watch her older daughter, Ainsley, for her for a few hours. I didn't get that many pictures but I had forgotten about this one and thought it was too cute to pass up, so here ya go Mandy! Oh and one more thing....last year Mandy had found this little castle backpack that was stuffed with bears that were dressed up in medieval outfits at a garage sale. My friend Casey had a garage sale several weeks ago and Mandy had put that in the garage sale to sell. Well I took it home to Ariel and she loved it! I posted a while back that Ariel loves to push anything in her stroller BUT her baby dolls and well, I have to say that she at least on a daily basis pushes her medieval bears in it now! Thanks Mandy! That is the cutest picture! I love the pink glasses on Caleb. :) It's so fun seeing Ariel in Ainsley's clothes too...it reminds me of how tiny Ainsley was at one time. How did she grow up so fast??!! ?